Peter Drucker’s famous “you can only manage what you can measure” quote makes it easy to get excited about the sensational potential of wearable sensors for managing the ‘quantified self’. Up to half of our health is directly driven by our own actions, and there is rising demand from an aging population for more control. On the supply side, there has been a trend of increasingly user-friendly wearable medical devices, within the context of sensors that can intercommunicate, as in the internet of things. Several decades have passed since Peter Drucker made his statement, and medical wearables have also been around for a similar period, yet much of the potential has yet to be harnessed. A review of the past suggests subtle, but very real, challenges that need to be addressed to fulfil the promise of wearable monitoring in the prevention and management of ill health. A specific medical wearable’s success requires both a target condition whose management is based on monitoring physiological changes, and a matching willingness to pay for it – irrespective of who ultimately pays. Successful athletes and senior managers are an attractive market, as there is an ability and apparent willingness to pay, dependent upon credibly demonstrating a link between vital signs and performance. Conversely, conditions which affect a large proportion of the population in large jurisdictions and require frequent or continuous use – as is the case for many chronic conditions – are attractive to the extent that there is appropriate reimbursement for monitoring. There may be more support for such initiatives if working with healthcare professionals, rather than aiming to replace them. In the US, the new ability to charge for remote monitoring under Medicare in rural areas provides a significant incentive to clinicians to use medical wearables in home monitoring or regular life monitoring. Where there are fixed reimbursements for treating a condition, clinicians need to be enabled to provide better quality care with higher efficiency. Sensor data is useful only to the extent that it helps drive meaningful action. What is actionable information (rather than distracting information) depends on the use case. Sometimes, simply seeing the vital sign is sufficient. For instance, a habit of those who successfully lose weight and keep it off is that they check their weight daily. Checking more frequently than that doesn’t help. A primary care physician who is monitoring a panel of chronic condition patients in their homes is unlikely to find a continuous stream of vital sign data from all of them particularly actionable. Rather, predictive algorithms should be used to prioritise which patients are most likely to require his or her attention, analogous to the needs of intensive care units. An actionable interface could go even further, if there is a law-like relationship between certain vital sign values and the resultant actions to be taken. For instance, in late-stage cases of chronic obstructive pulmonary disease, a progressive lung disease, patients require extra oxygen, but not too much. A closed-loop system could be imagined, in which the external oxygen supply is driven mechanically by vital sign measurements, including blood oxygen saturation and patient activity. If you’re going to measure something, it’s only worth doing if it is done well enough. Voice recognition, à la Siri, for instance, only begins enhancing productivity if accuracy levels are greater than 98 percent – otherwise the corrections eat up all the productivity gains, besides creating additional frustration. Wearable sensors must work for everyone, out of the box – on par with hospital performance levels – irrespective of size, gender or skin colour. Sensors and their associated algorithms should also enable measurement under true everyday living conditions. A vital sign monitor for an athlete is unlikely to be useful during exercise if it cannot handle motion or sweat. This robustness should, of course, be supported by the necessary clinical studies. Having the right information in the right way to support decisions is essential, but not sufficient. Any solution also needs to be so convenient that it can be adopted as a habit without effort or discomfort, for caregivers, their institutions, and – obviously – the wearer. To begin to unlock the promise of continuing care, data from wearables must be made available in a host of different formal care settings, securely, automatically and in a trusted fashion. 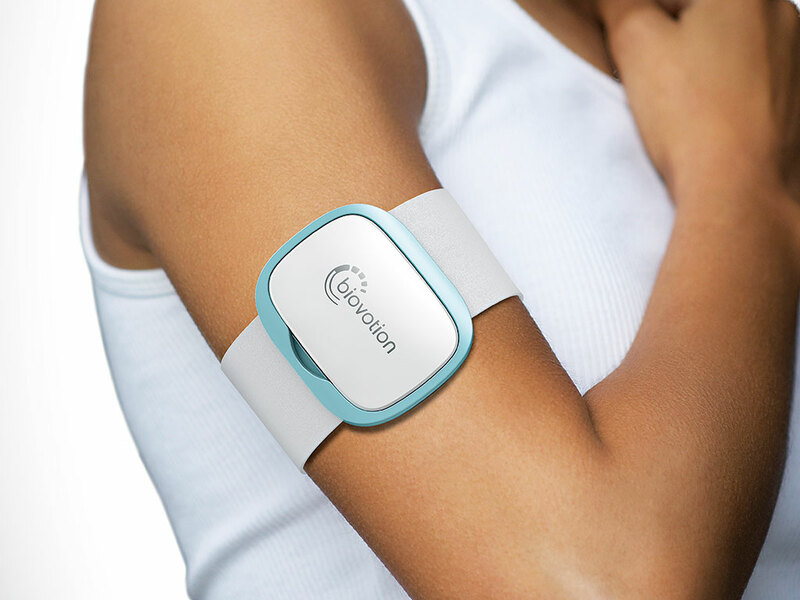 Dependable wearable sensors will be of growing importance in hospitals. Patients in intensive care are routinely monitored continuously. Once out of intensive care, such monitoring can be continued with wearable devices, combined with sophisticated codified expert knowledge. This will aid in returning patients home more quickly – still being monitored, of course. For this to occur, devices need to be constantly connected, they need to operate on the same platform as hospital systems, and they must capture all the critical data that could be recorded in a hospital. One study of 18,000 patients in 2012 measured an increase in survival rate of 6.3 percent with automated vital sign monitoring, a decreased length of average hospital stay of 3 percent, and a saving of 1.7 nurse hours per day. In another study, predictive health monitoring with codified expert knowledge combined with vital sign monitoring was able to completely avoid avoidable deaths. A wearable needs to be worn, and if measurement is to be continuous over time, it needs to be comfortable to wear for extended periods. This often conflicts with the need to have good skin contact, which is required if sensors are to generate clinical-grade data. For instance, many wristwatches need to be tightened more than is comfortable for many users to measure vital signs with an acceptable degree of reliability. In addition, during chronic use it is important for materials to be hypoallergenic and well tolerated. This issue has caused product recalls in the past. A more comfortable, discrete and robustly measurable location has been identified in the upper arm. For aesthetic and practical reasons, it would be helpful if users didn’t end up needing to wear a whole multitude of wearables. In the more distant future, sensor devices may well be based on technology that can be ingested, or monitored at a distance, without needing to be worn. Wearable sensing is set to have a major positive impact in those markets with a clear need and reimbursement mechanism, by working with, rather than around, professionals in the healthcare system. Also, for the technology to truly take off, each user and healthcare professional must experience significant and reliable benefits, with minimal and convenient changes to their habits.